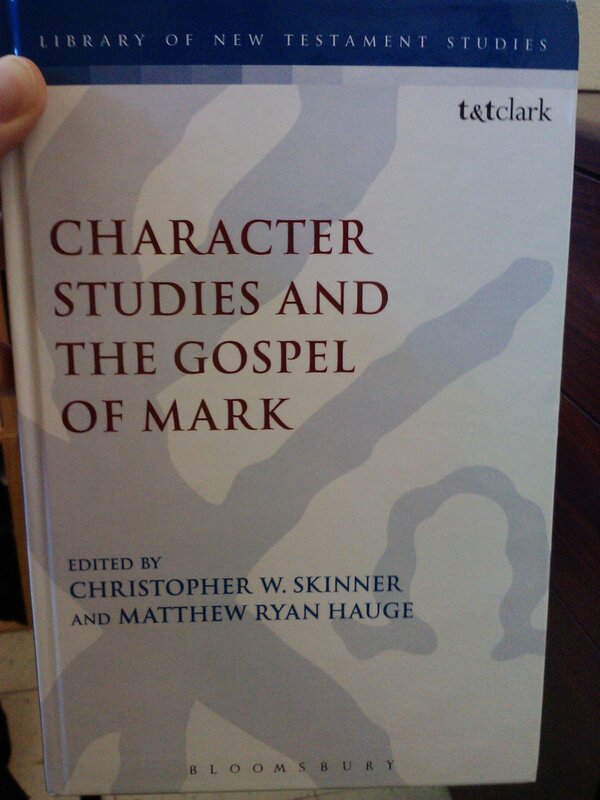 My latest book, Character Studies and the Gospel of Mark (co-edited with Matt Hauge) has just arrived in my campus inbox! It looks great and I’m thankful for the staff at Bloomsbury /T &T Clark who worked so diligently to get the book out before the professional meeting season in late November. So ends another two-year journey of nurturing a book from a vague idea into a fully gestated creation. Working on this book was a great experience. Contributors include: Elizabeth Struthers Malbon, Matthew Ryan Hauge, Ira Brent Driggers, Joel F. Williams, Elizabeth Shively, Paul L. Danove, Susan Miller, Adam Winn, Cornelis Bennema, and myself.